ESA launches Europe’s largest exoplanet research mission, with partners from the Universities of Geneva and Bern. PLATO, the largest European exoplanet research mission, was adopted today by the European Space Agency at the ESA Scientific Programs Committee meeting. Switzerland, through the Universities of Geneva (UNIGE) and Berne (UNIBE), is heavily involved in this mission, which should enable astronomers to discover and characterize planets the size of the Earth and the “super –Earths” that orbit around solar type stars in their habitable zone. Thanks to the twenty-six 12cm diameter small telescopes mounted on the satellite, PLATO will scrutinize about a million stars distributed on half the sky. «We will thus know which planets look most similar to the earth and on which it will be necessary to concentrate on for the detection of life. In a way PLATO will determine VIPs (Very Important Planets) for our future research, «said Willy Benz, professor of astronomy at the Center of Space and Habitability of the University of Bern. PLATO will also analyze the seismic activity of stars to determine their age, mass and size and thus have a better understanding of the stellar system as a whole. The University of Bern, fortified by its reputation and experience acquired in particular as a prime contractor for the development of the European satellite CHEOPS, has been invested with the design of the mechanical structure which will support the 26 telescopes of PLATO and with the follow-up of their construction by Swiss industry. The structure and telescopes will then be delivered to the Italian space agency responsible for the integration of telescopes onto the satellite. As for the University of Geneva, it is particularly involved in follow-up activities. Genevan scientists will first have to recognize and eliminate «false planets» (such as double stars, for example) and then determine the masses of planets detected. Indeed, PLATO will only measure the size of the planets, and if one wants to know their compositions, one will also have to determine their masses. A determination that will be made thanks to the method of radial velocities where the University of Geneva, since the first discovery in 1995, has been a world-leader. “Until now we looked out of the window into an orchard with a variety of magnificent fruits. With PLATO we can pick and appreciate all their flavors”, said Stéphane Udry, professor at the department of astronomy of the Geneva University. 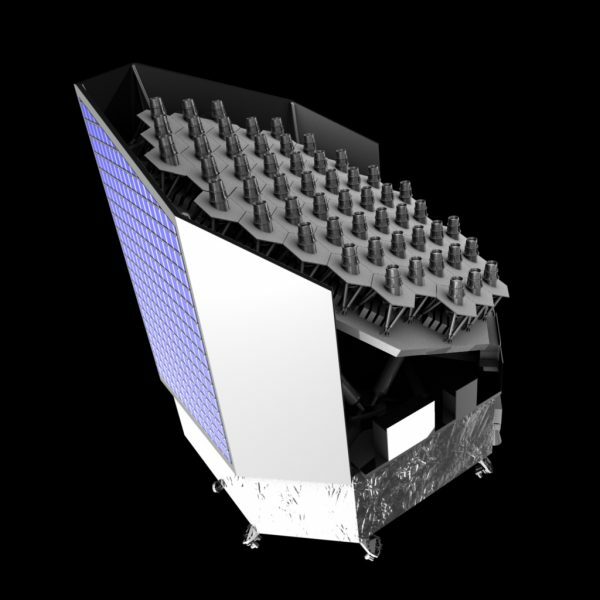 After SOLAR ORBITER, which is due to be launched in late 2018 and EUCLID (2020), PLATO is the 3rd M-class mission of ESA’s Cosmic Vision program. The adoption of PLATO will enable ESA to call for bids in the following months to the industries involved in the construction of the satellite. The launch of PLATO is planned for 2026.